Conan Jennings battles an opponent. The junior and the Wildcats will begin their season Sunday in the Michigan State Open. To be the best, you’ve got to beat the best. Northwestern will certainly have that opportunity this year. Stuck in the toughest wrestling conference in the nation, the Wildcats head into the season facing an uphill battle. Five of the top seven teams in the country are in the Big Ten, but coach Matt Storniolo said NU won’t back down. Those successes were few and far between for the Cats last year, as NU finished with a 2-7 conference record. The team got off to a hot start, going 5-1 in nonconference play, but as they hit the grueling stretch of Big Ten play — facing ranked teams almost every week — they faltered. In addition to facing the toughest teams in the nation, the Cats will be on the road for most of the year. With Welsh-Ryan Arena under construction, NU will host its meets in Patten Gym. Along with the venue change, the Cats have significantly fewer home meets this season. 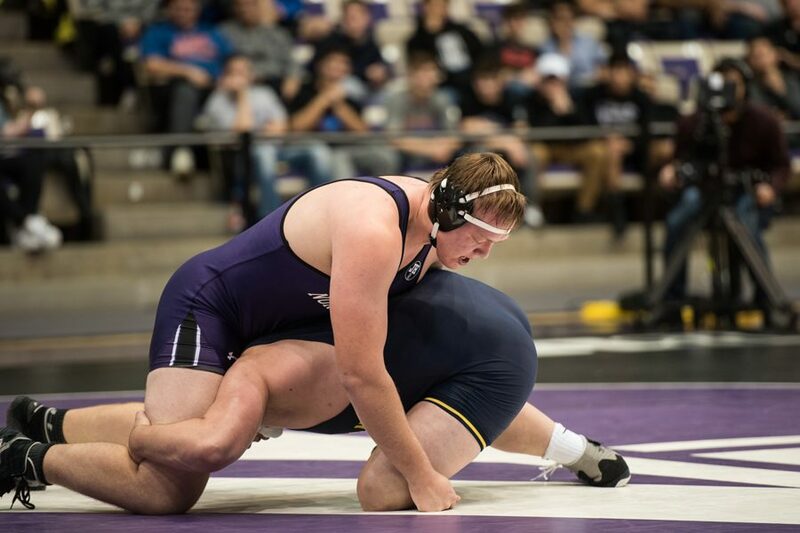 Last year, Welsh-Ryan hosted nine duals, but there are only four meets scheduled in Patten this year. They’ll have to face those challenges without their top wrestler from last season, Jacob Berkowitz. Wrestling at 197 pounds, Berkowitz led the team with six conference wins while picking up a team-high 48 dual points on the year. Sophomore Zack Chakonis, who has not wrestled at 197 pounds in his collegiate career, will likely step in to fill Berkowitz’s spot in the lineup. It’s a different story for NU at the 149-pound weight class. Last year, Ryan Deakin went 19-4 at that weight, but he didn’t compete in team competitions due to his redshirt status. When he did compete, Deakin was impressive, defeating five top-20 wrestlers at the Ken Kraft Midlands Championship in December. Deakin steps in the Cats’ lineup at 149 pounds, while sophomore Shayne Oster, who wrestled at that weight last year and finished 2-5 in conference play, has moved up a weight class. Deakin and his teammates will square off against some of the top wrestlers in the country this weekend, beginning the season at the Michigan State Open along with wrestlers from No. 4 Michigan, No. 11 Arizona State and various other schools from across the country. Deakin’s weight class may be the most talented at the event, as it features him along with two other ranked competitors. But he said he’s excited for the challenge.